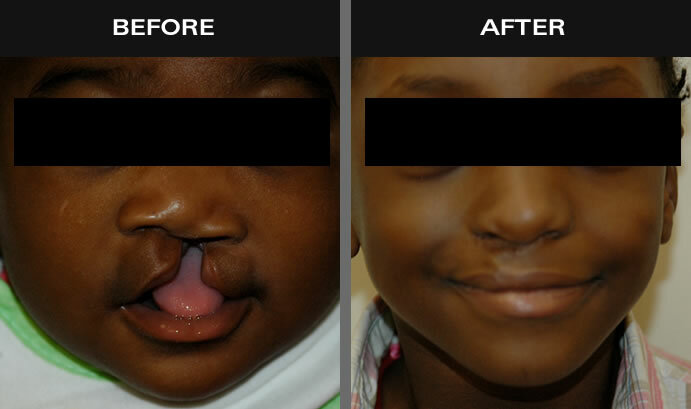 With a cleft lip, an opening is created in the upper lip between the mouth and nose, looking as though there is a split in the lip. This can be detrimental on both a physical and functional level. A completely formed lip is important for a normal facial appearance but also for sucking and forming certain sounds made during speech. 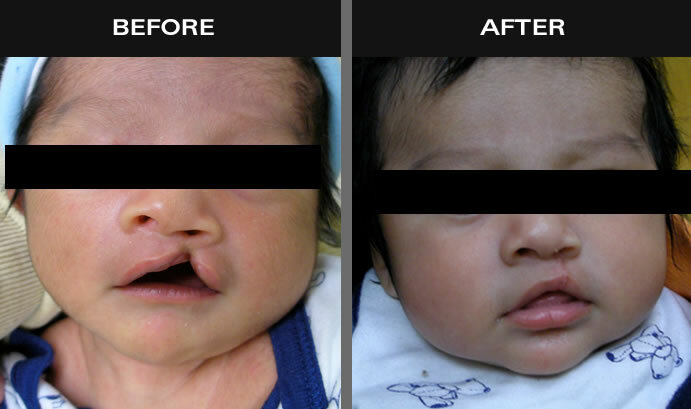 Often, the diagnosis of a cleft lip or palate can be made with a prenatal ultrasound. 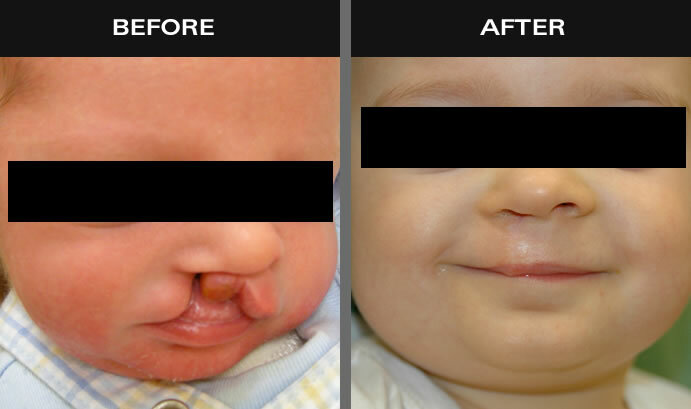 If the cleft is seen on progressive sonograms and the obstetrician informs you of the diagnosis, then it is very helpful to have a pre-delivery conference with the surgeon, who can help you understand and get ready for baby's arrival. A similar defect in the roof of the mouth is called a “cleft palate.” The palate (roof of the mouth) is made of bone and muscle and is covered by a thin, wet skin that forms the red covering inside the mouth. 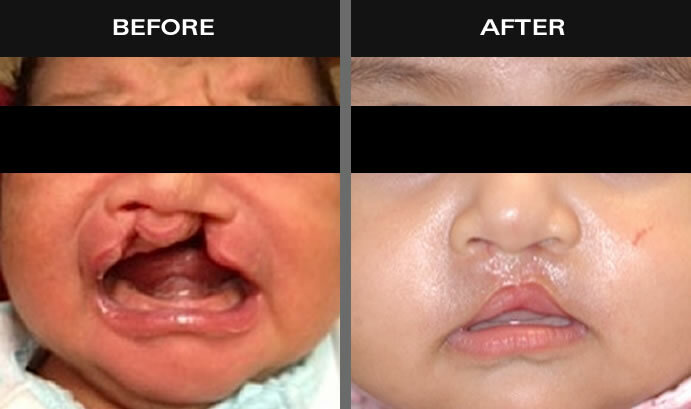 Like a cleft lip, a cleft palate occurs in early pregnancy when separate areas of the face have developed individually but fail to join together properly. 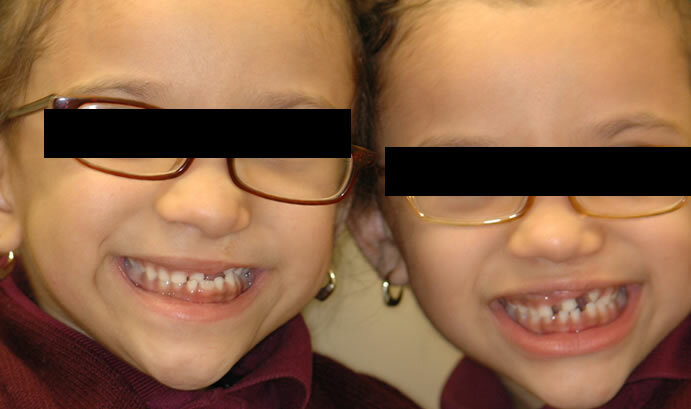 This defect can range in severity from an opening at the back of the soft palate to a nearly complete separation of the mouth. The palate is meant to separate your nose from your mouth and plays an important role in speech functions. When you talk, the palate prevents air from blowing out of your nose instead of your mouth. The palate also prevents food and liquid from going up into the nose. 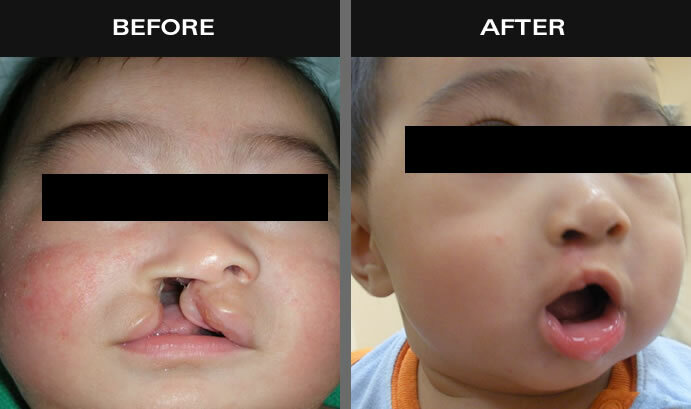 Are cleft lip & palate common? 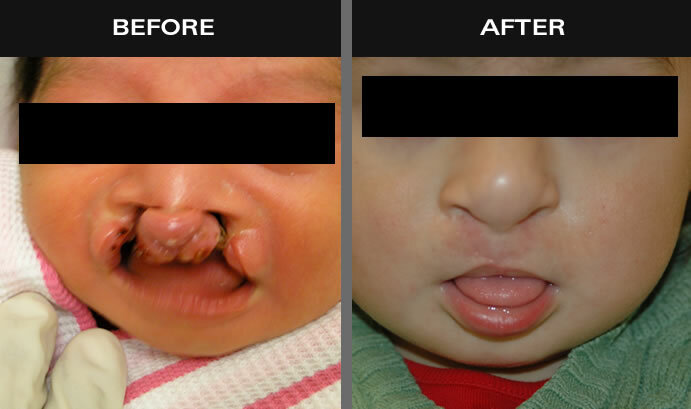 Cleft defects occur in approximately 1 out of every 800 babies. 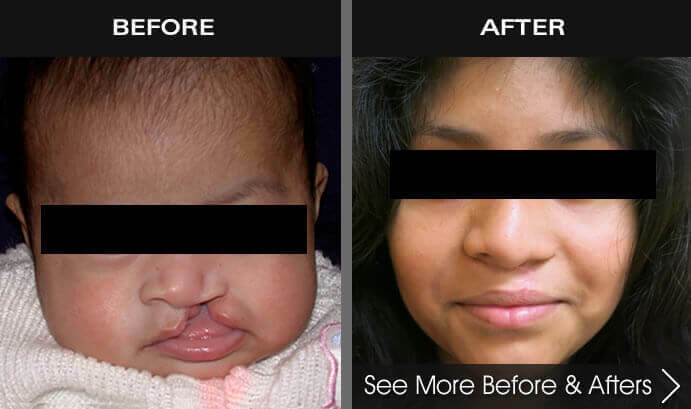 How is a cleft lip corrected? 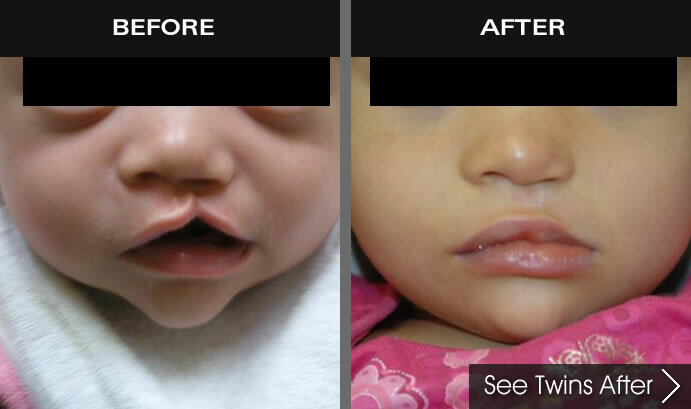 Cleft lip surgery is typically performed when the child is about 10 weeks of age and is done under general anesthesia. This procedure closes the separation, restores muscle function, and provides a normal shape to the mouth. The lip and nose are repaired at the same time. 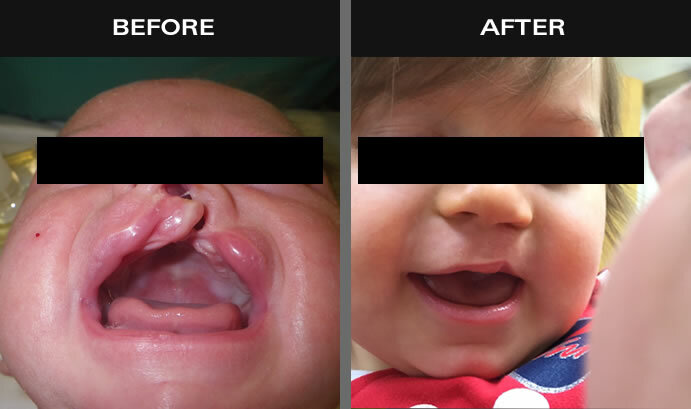 Following surgery, it may be recommended to have a small plastic-like insert placed in the baby’s nose called a nasal former. This will stay in for a few weeks after surgery. Often, a nasal alveolar molding device (NAM) is used prior to surgery. 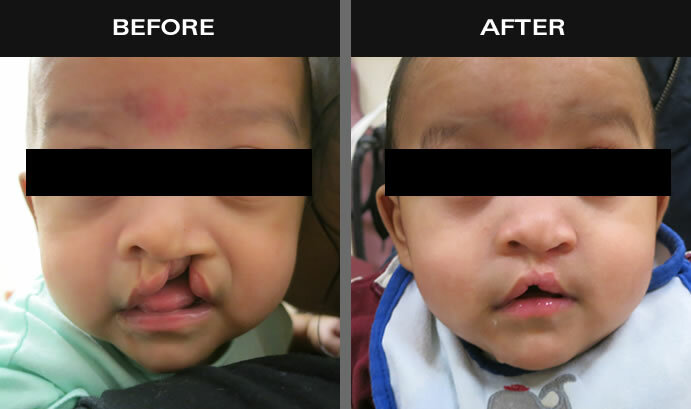 This depends on the severity of the cleft lip and the baby’s ability to tolerate the molding device. Parents should not worry if the baby cannot use the device because very good results can be obtained either way. The baby will have the sutures removed one week after surgery. 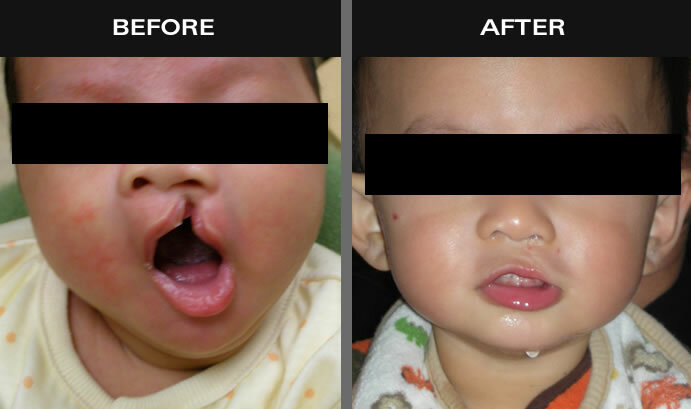 How is a cleft palate corrected? 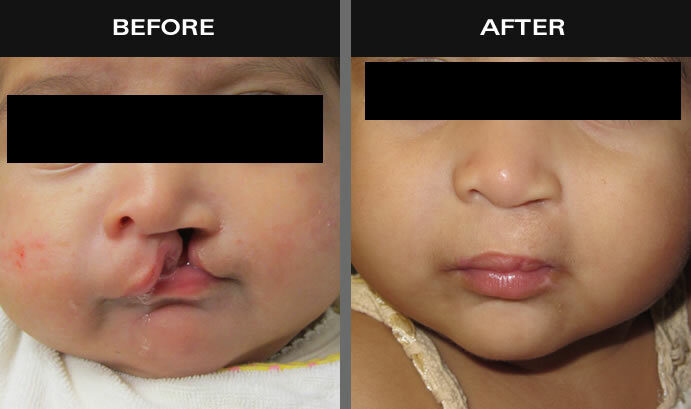 A cleft palate is initially treated with surgery when the child is 8 months old, depending on whether or not the child has any associated health problems. 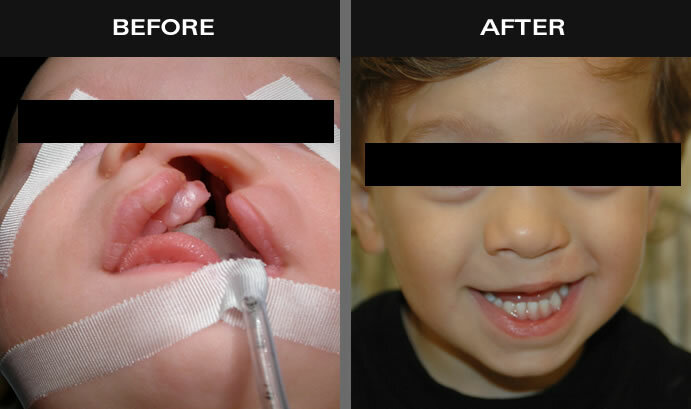 The goal of this surgery is to close the gap or hole between the roof of the mouth and the nose and to reconnect the muscles that make the palate work. 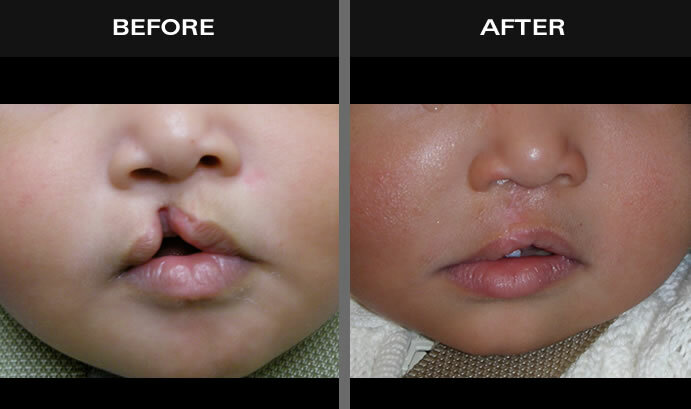 The lip and nose are treated with this primary surgery. 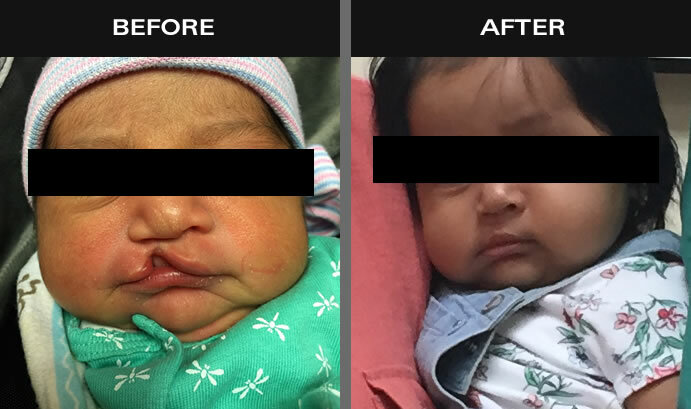 Babies are scheduled to have their sutures removed one week after surgery. 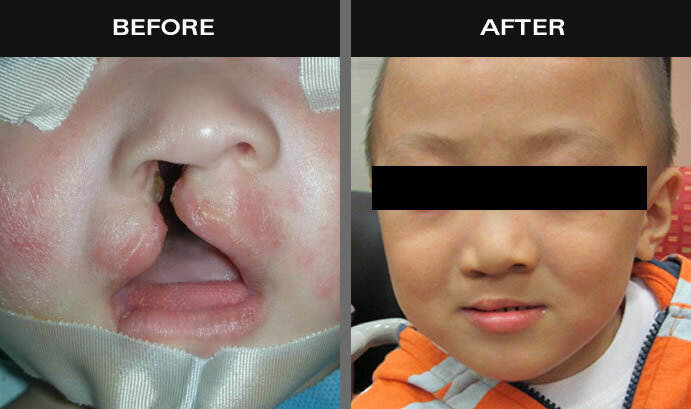 The doctors will also make the repaired palate long enough so that the palate can function properly. 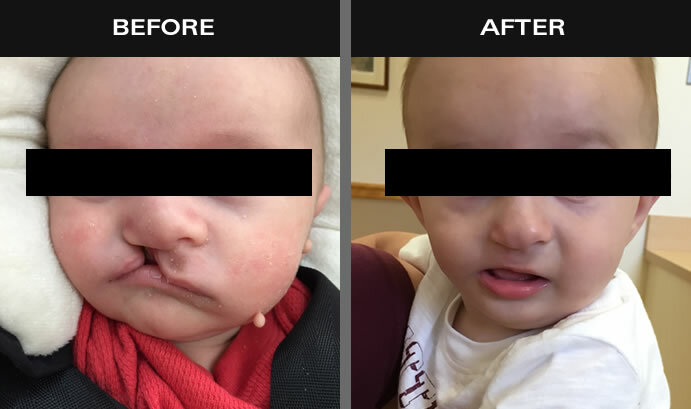 How are cleft lip & palate managed? Children born with one or both of these conditions typically need the skills of several professionals to manage the problems associated with the defect, such as feeding, speech, hearing, and psychological development. In most cases, surgery is recommended and can be performed using several different techniques. 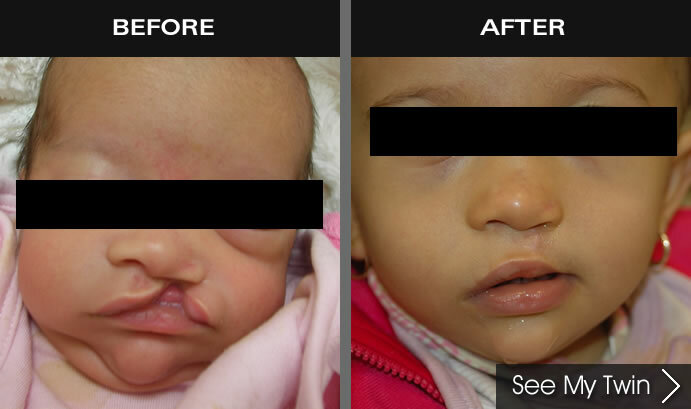 Dr. David Hoffman has been performing cleft surgery for over 30 years. 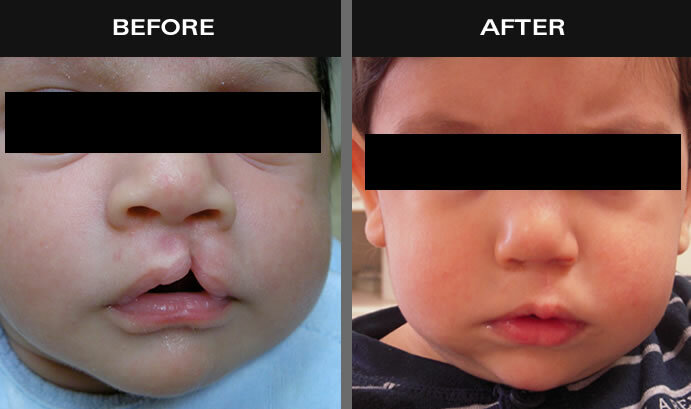 He is the surgeon for the Staten Island University Hospital and Maimonides Medical Center Cleft teams. In addition, he is one of the medical directors of Healing the Children and has operated on well over 1000 children both in this country and abroad on medical charity missions. 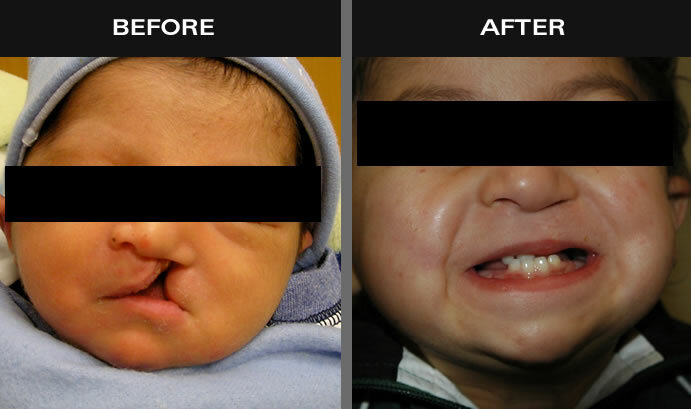 He is well-versed in the phases of cleft surgery from caring for a new born to teenage and adult secondary procedures. 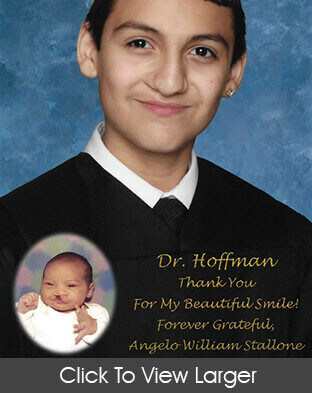 Dr. Hoffman and both teams are members of the American Cleft Palate and Craniofacial Association. 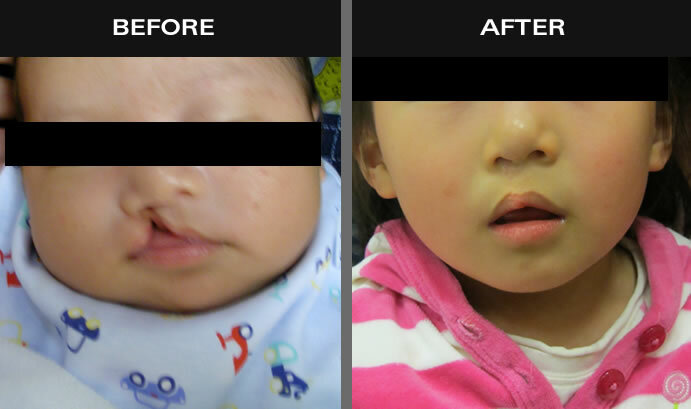 What can the patient expect after cleft lip & palate surgery? 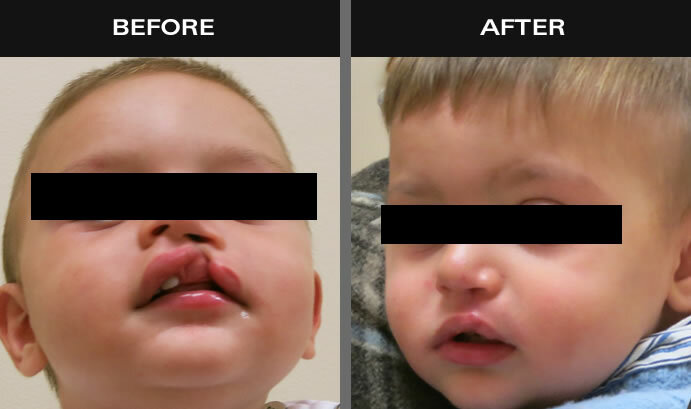 After the lip and palate are repaired, the child may need other surgical and nonsurgical procedures. 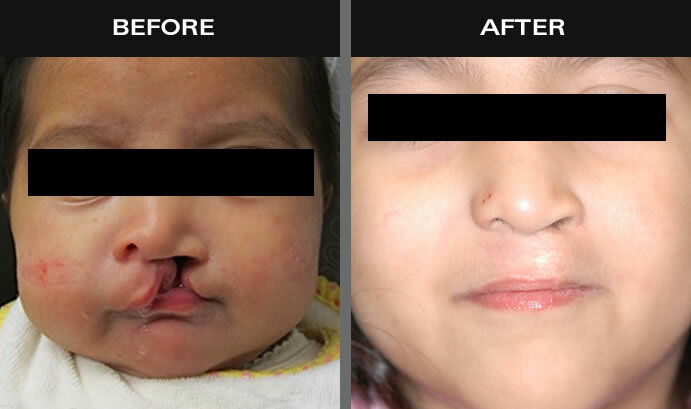 The following is a general guide to the care of a child born with a combined cleft lip and palate. 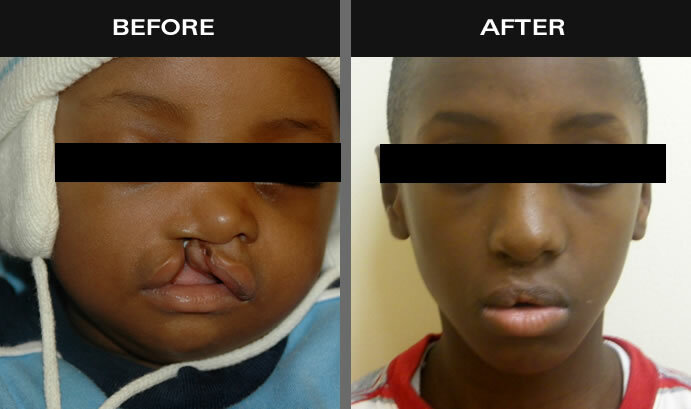 How can I learn more about cleft lip & palate surgery? 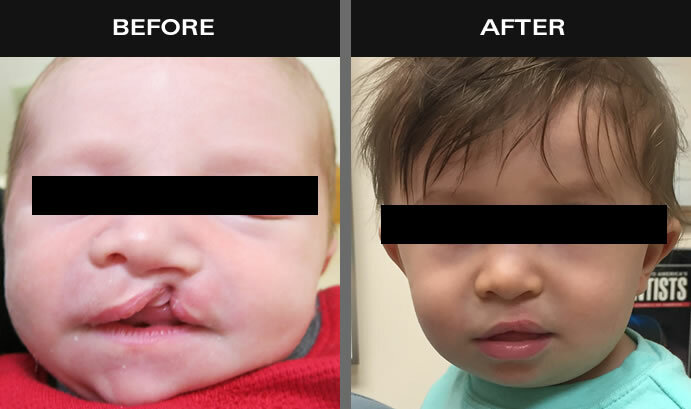 For more information on cleft lip & palate surgery, please contact Staten Island Oral & Maxillofacial Surgery to schedule an appointment with oral and maxillofacial surgeons David Hoffman, D.D.S.,F.A.C.S., Lydia J. Lam, D.D.S., Steve Yusupov, D.D.S., M.D., and Mark Stein, D.D.S., M.D. at 718.226.1251.